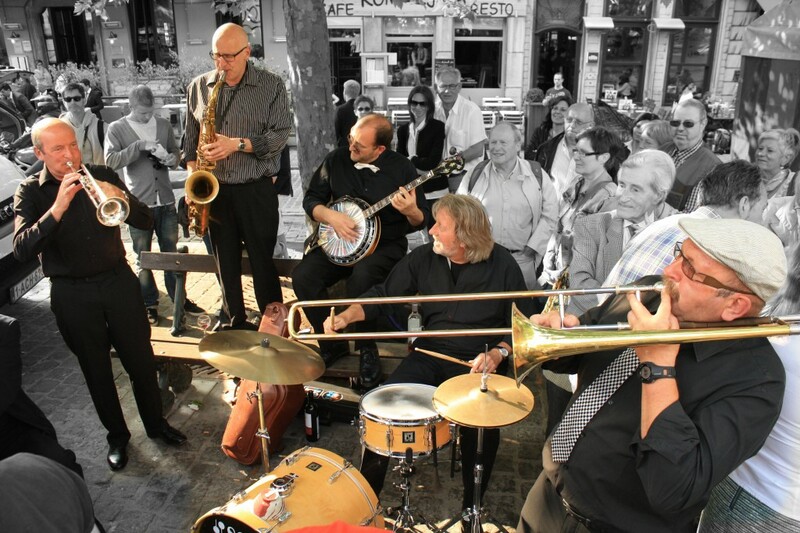 Pajot Swing Jazzband is the perfect treatment for outdoor gigs, walking dinners, parties and any other event. The band, established in 1985, has 6 bandmembers; José Fontaine (bas), Michel Radermecker (banjo), Philippe Van Oost (trompet), Geert Polfliet (sax), William Barbé (trombone) and Allain Coppy (drums). Enjoy our site, listen to our sessions and watch our video’s. We hope to hear from you soon!